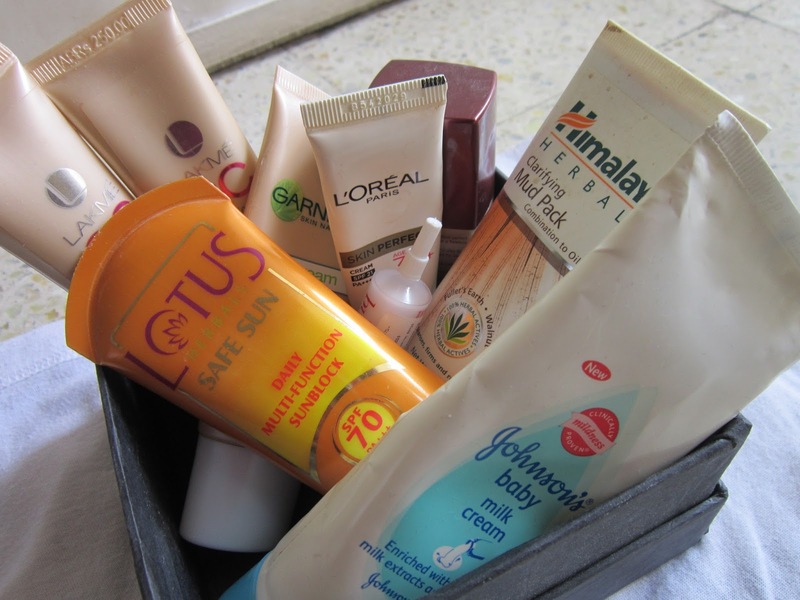 I'm here today to share an 'Empties' post. You must be wondering why I'd share an empties post with you, well here are a couple of reasons. 1. 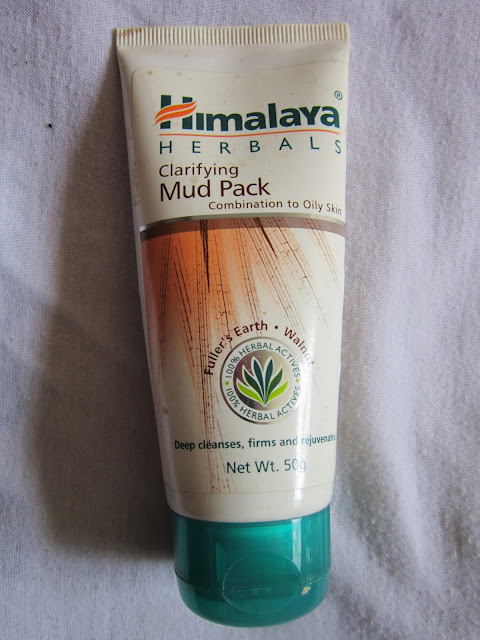 Himalaya Herbals Clarifying Mud Pack - Really nice for oily, acne-prone skin & those rare breakouts. Althouh I havent used this regularly (actually I should..) I use it on sudden breakouts and it dries them out within a day or two. I'll definitely repurchase this one. 2. 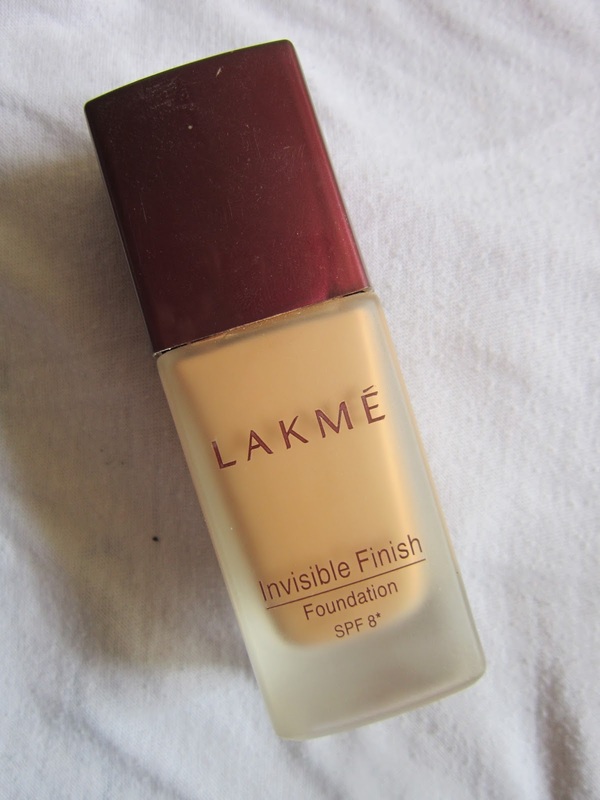 Lakme Invisible Finish Foundation 04 - It says its water-based but this one had the sticky, foundation-ny feeling & I wasn't comfortable with it. I will not be re-purchasing this one. I've gotten pretty comfortable with my current CC cream so not really looking to change to foundation soon. 3. 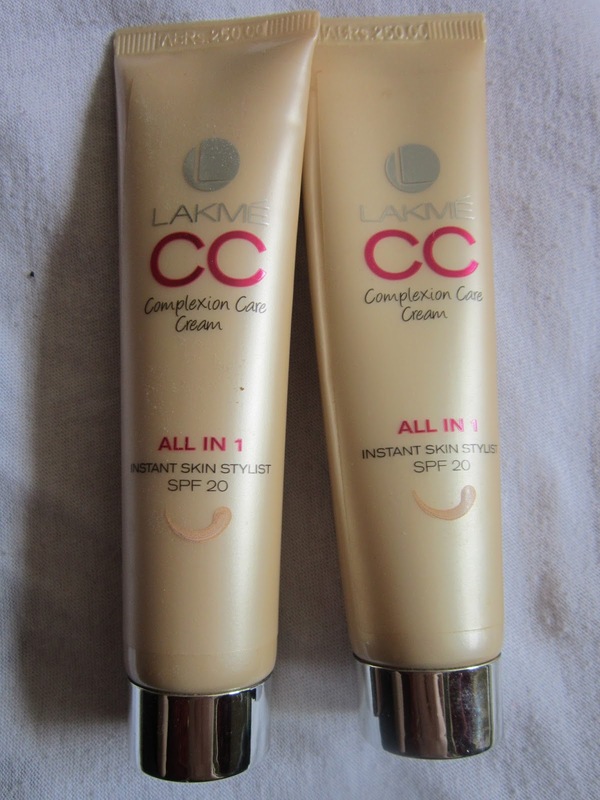 Lakme CC Cream in Bronze - Aah! Well, the pic says it all, I have gone throught almost 8-9 tubes of this from the time it released. 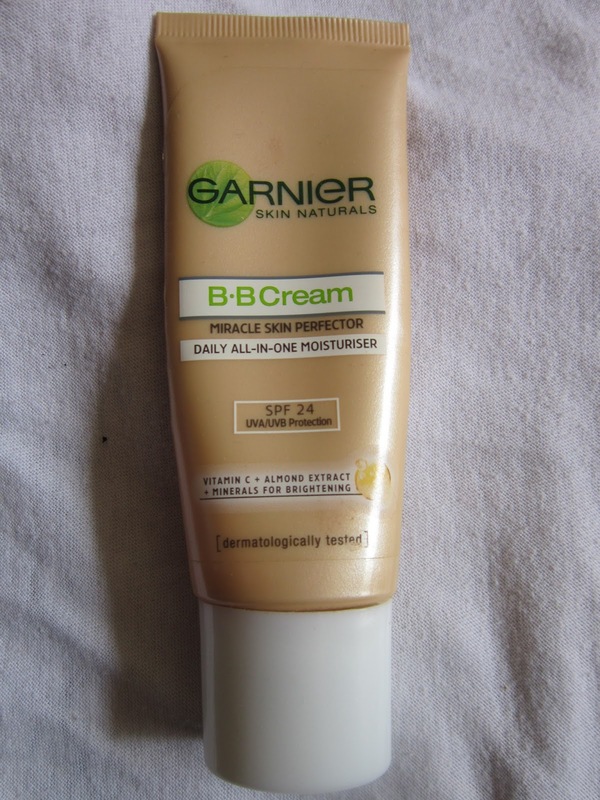 I wish it came in more shades, but I like the Bronze shade of this cream, so I'm gonna stick to it :-) One of my favourites, will definitely repurchase. 4. Garnier BB Cream - I really like this one for daily use. It doesnt give much coverage but I like that it brightens up the skin for a fresh look. The lovely almond fragrance is a plus as well. 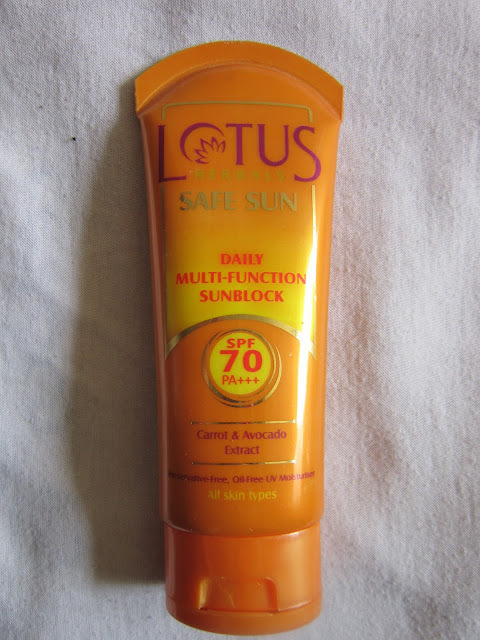 I'm going to stick to Lakme CC Cream as of now; maybe I'll get this during summer next year. 5. 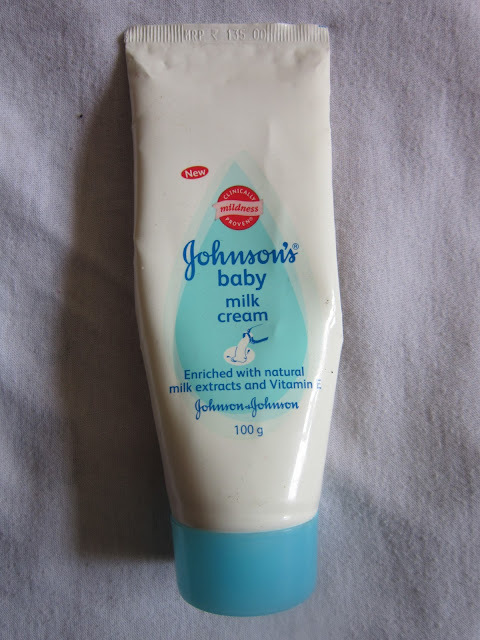 Johnson's Baby Milk Cream - Yes, Yes, I'm a CHOR (thief) like that!! LOL My son's cream has made its way into my empties post cuz I love it for dry elbows and knees. 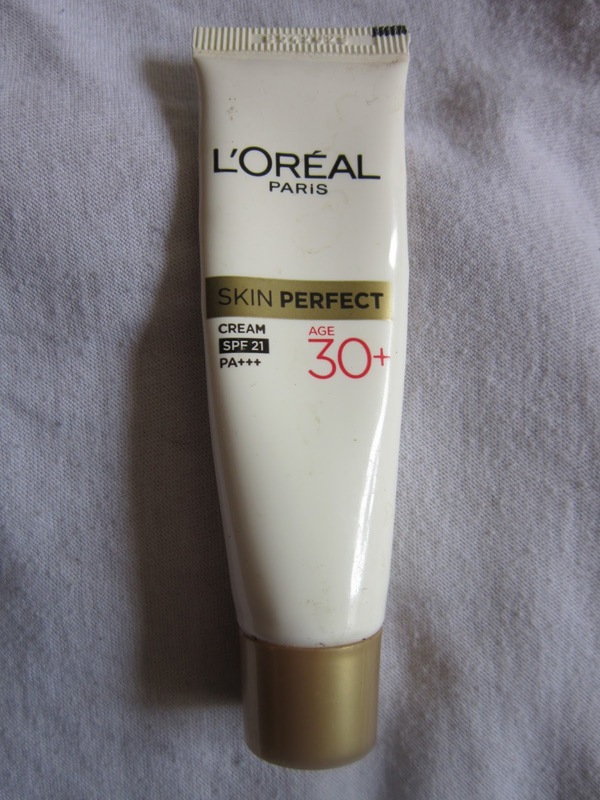 And on rare occasions when my face feels dry and parched, this one's a saviour! 8. Cuccio Naturale Hydrating Butter with Pomegranate and Fig - I loved this one! Yummy fragrance, extremely hydrating & .....freaking expensive!! 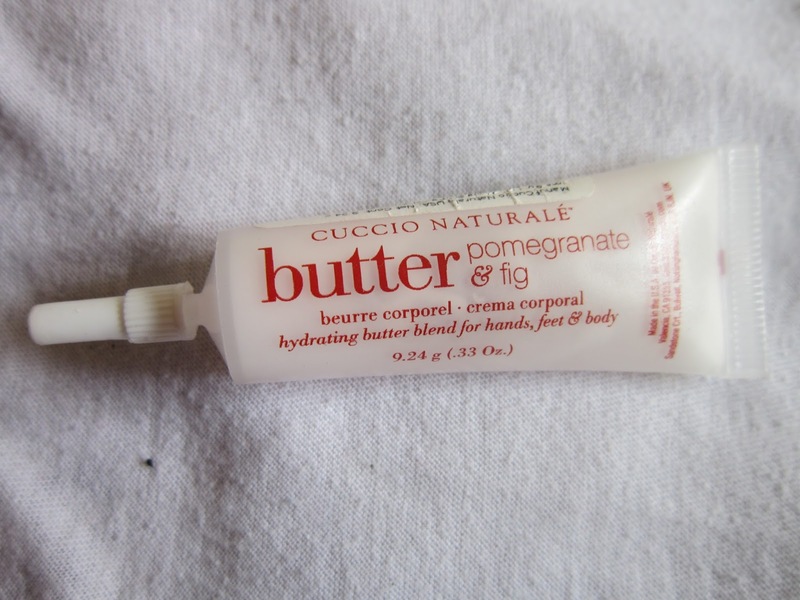 LOL... Read my thoughts on this lil guy, I got as a sample in one of my fab bags - HERE.